Pioneering educators who have chosen to use Facebook with students have realized terrific rewards including greater learner engagement, deeper conversations, improvement in literacy, and greater participation than traditional classroom platforms. With these practices in mind educators can realize positive results while keeping the lines of communication professional.So, what do you think? Have you used or considered using Facebook with your students? Which of these practices do you think or have you experienced as being, useful? 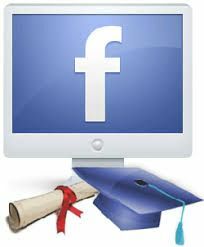 Are there other challenges or concerns that are getting in the way of using Facebook with students? If so, what are they?